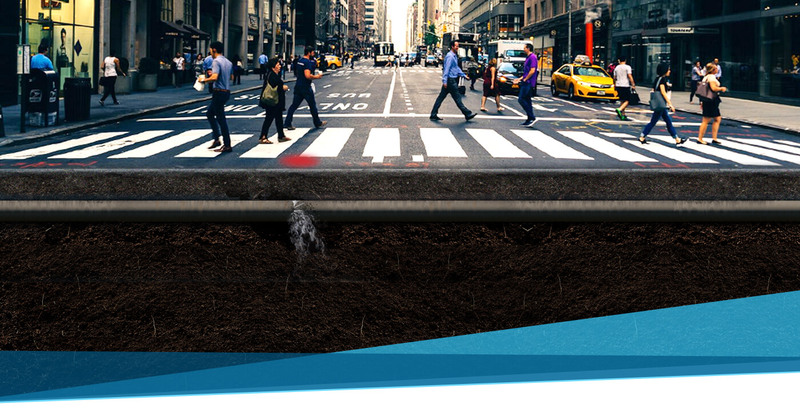 Permanently monitoring entire water networks remotely and fully automatic is no longer a vision, but reality. Find the most suitable technology for your needs. Different water leaks and environments require specific leak detection methods and tools. Find the most suitable leak pinpointing tool for your every day field work. GUTERMANN is a global technology leader and innovator in intelligent water loss technologies. 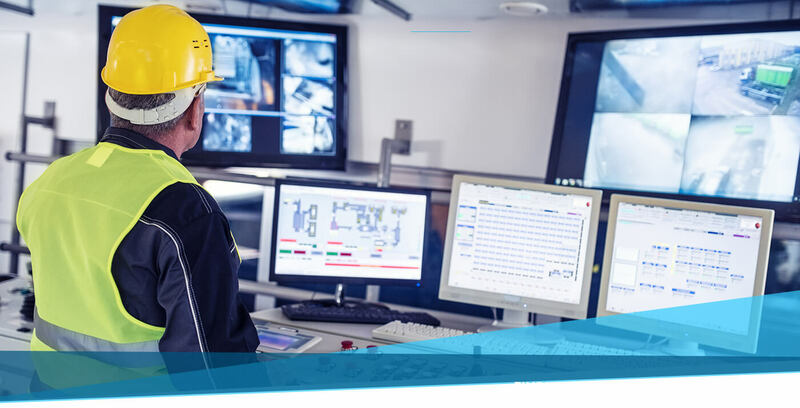 We cover the full range of conventional leak detection equipment and offer the most advanced system on the market for the permanent leak monitoring of water supply networks. 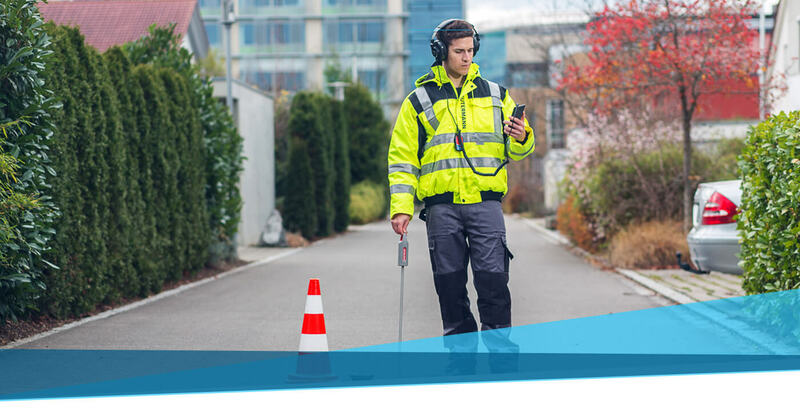 GUTERMANN is 100% focused acoustic technologies for water leak detection and committed to developping the best solutions for all applications. The group is headquartered in Baar, Switzerland, and maintains R&D and assembly sites in Stuttgart and Ravensburg, Germany, as well as own sales offices in various locations throughout Europe, the Americas, Asia and Australia, supported by a wide network of national sales distribution and support partners. between all relevant logger pairs in a sensor network, providing pinpointed leak locations with an accuracy of below 1 metre. No manual triggering of correlations is therefore required to investigate suspicious locations. 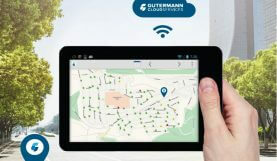 Thanks to Full Correlation the Gutermann Cloud Services software is able to reduce to a minimum both the False Positives (false alarms often caused by individual sensors in noise level alarm mode) and the False Negatives (leaks not picked up without automatic correlation because of their distance to the loggers causing their noise levels to fall below the ambient noise around the logger). 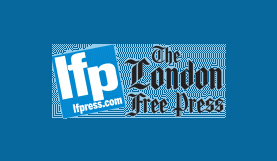 Three days of cutting edge technical sessions! Over 100 vendors on the trade show floor! The largest water sector trade exhibition in the southern hemisphere. April 2017. 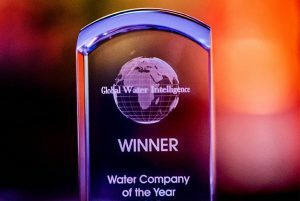 At the GWI Global Water Summit in Madrid, Spain, GUTERMANN was among the four nominees for this award, along with SUEZ, Xylem and Iota Services. The award was given to the company which has made the “most significant contribution to the field of water technology in 2016”. 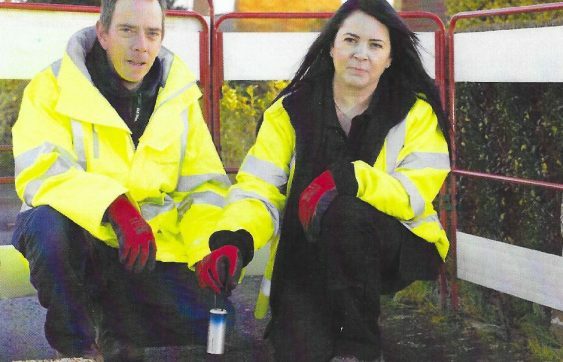 The project under consideration for the award was the installation of the 5500 AMI-integrated permanently deployed ZONESCAN loggers, helping Veolia to reduce the NRW rate from 21% to below 15% in Grand Lyon, France. March 2017. At the 11th Water Digest Water Awards in New Delhi, India, GUTERMANN was given this award in recognition for the potential of its products on the Sub-Continent. 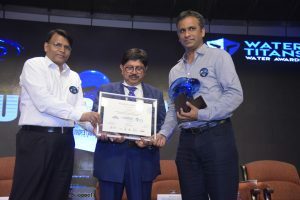 The award was applied for and received by Ashish Soni of Chaitanya Instruments Pvt Ltd, the exclusive distribution partner of GUTERMANN in India. November 2016. At Anglian Water’s annual Supplier Awards in Newmarket, UK, ZONESCAN ALPHA was chosen among 52 of new innovative products as the one that will have a particular impact on the water network of the future. A month earlier Anglian Water had presented ZONESCAN ALPHA to a Parliamentary Water group in London, using Virtual Reality images of a ZONESCAN 820 logger to be shown to public policy makers using Microsoft HoloLens.